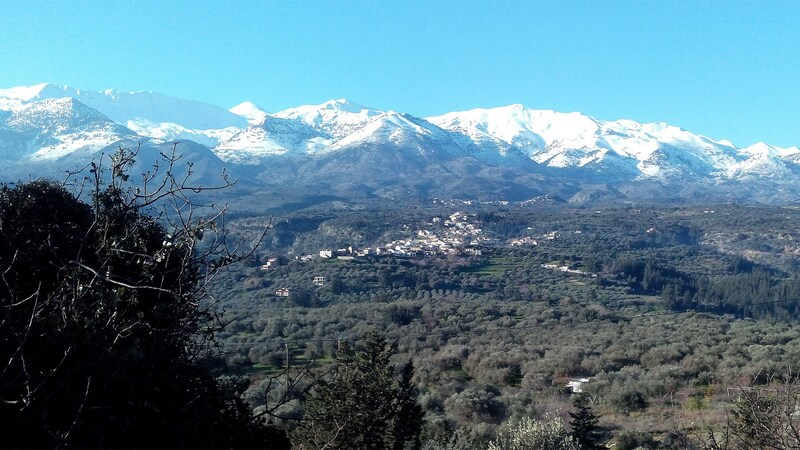 The majestic snowcapped mountain range of Lefka Ori (White Mountains) under the warm January sun as seen from the Apokoronas area. The highest summit is Pachnes with 2,453 m (8,048 ft) and there are over 30 summits that are over 2,000 m (6,562 ft) high. The Lefka Ori also have about 50 gorges, the most famous being the Samaria Gorge. The central and southern part of the Lefka Ori lying at an altitude of 1,800 m (5,906 ft) and above resembles a "moon landscape". This is technically called a high desert which is unique in the northern hemisphere. The Lefka Ori are home to both of Greece's caves with depths greater than one kilometer. The Lefka Ori mountain range are spectacular but one of their most valued characteristic is that they are a natural ‘reservoir’ and provider of water throughout Spring and most importantly the hot long Summers.